NPR’s Mary Louise Kelly speaks with Carey Jones and John McCarthy, the husband and wife team behind the new book Be Your Own Bartender. The Democratic Republic of Congo finally voted Sunday in a long-delayed election meant to usher in a peaceful transfer of power after Joseph Kabila’s long rule. 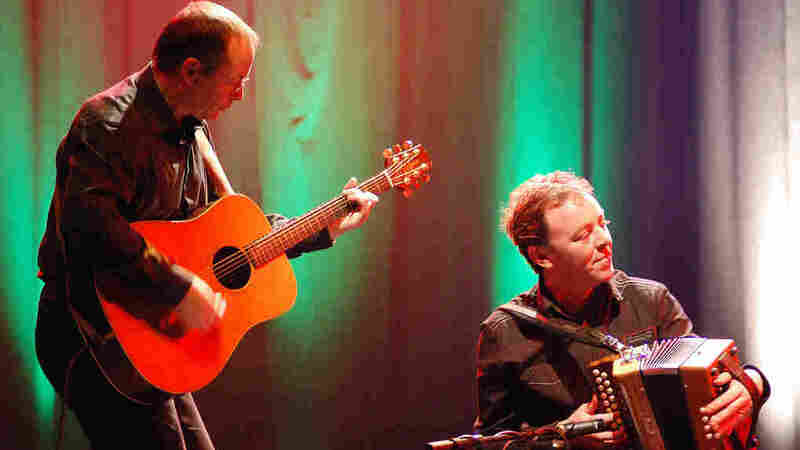 This week’s episode of The Thistle & Shamrock features music by Altan. Celebrate the dawn of the New Year with host Fiona Ritchie and the music of Bachue, Altan, Cathie Ryan, and Eddi Reader. The New Year’s Eve ball that will be lit and sent up a 130-foot pole atop One Times Square to mark the start of the 2019 new year in Times Square, New York. New Year’s Eve parties have kicked off around the world, including the famous gathering in New York’s Times Square. 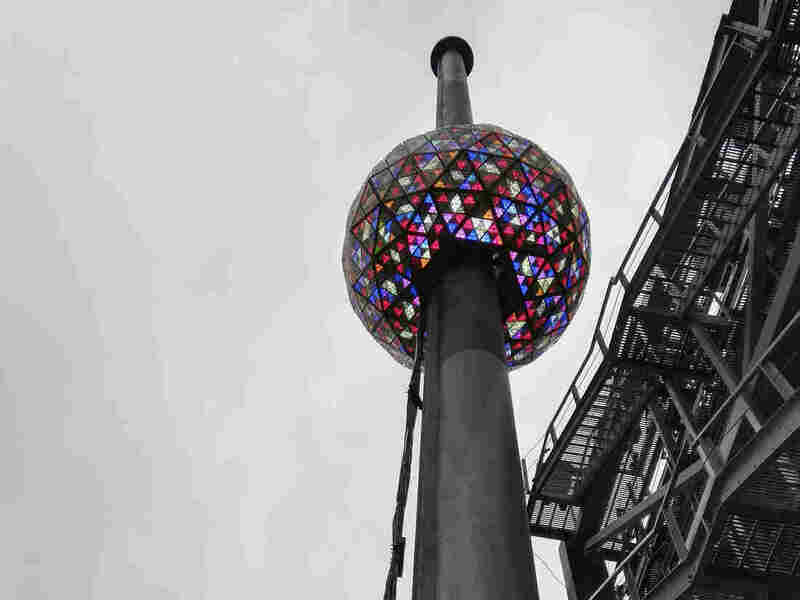 Hundreds of thousands of revelers are expected to gather there to watch the ball drop and ring in 2019 – and this year, according to the organizers, it’s covered in 2,688 Waterford crystal triangles. As 2018 comes to an end, movie critic Bob Mondello takes a look at the year’s best films. “I am confident that each of you remains undistracted from our sworn mission to support and defend the Constitution while protecting our way of life,” he wrote. Supporters of Trump’s decision, like White House adviser Stephen Miller, told CNN it would end “an absolutely catastrophic foreign policy” that further destabilized the Middle East, and cost money and lives. His words were definitive and frank: “My views on treating allies with respect and also being clear-eyed about both malign actors and strategic competitors are strongly held and informed by over four decades of immersion in these issues,” he said. The letter evidently upset President Trump. 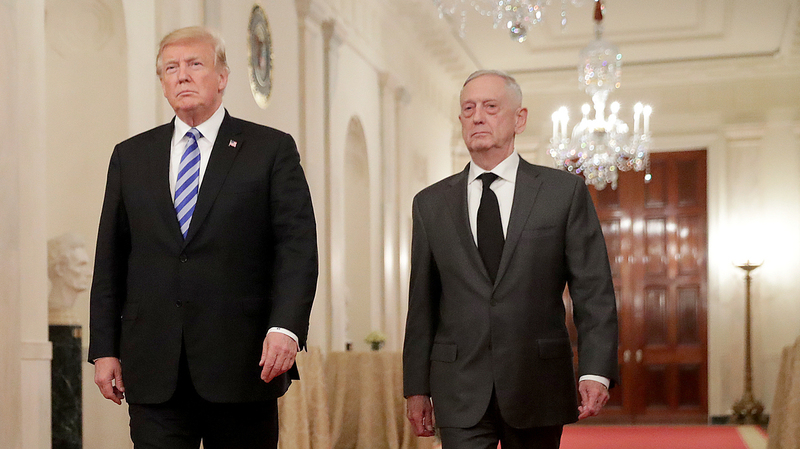 Mattis planned to leave his post on Feb. 28, saying it would allow adequate time for a successor to be nominated and make sure the Defense Department’s interests were “properly articulated and protected.” Instead, the president hastened his departure. He picked Deputy Defense Secretary Patrick Shanahan to be acting Secretary and ordered Mattis to step down Dec. 31. During Shanahan’s confirmation hearing to be deputy secretary in 2017, the late Sen. John McCain became livid. Shanahan had told the senator in written response to questions before the hearing that he would have to see whether the U.S. should supply Ukraine with weapons to fight pro-Russian separatists in the east of the country. It was an issue the committee had discussed extensively. Foreign Policy Pentagon correspondent Lara Seligman told NPR that Shanahan will likely try to modernize the defense forces, and that Boeing received three multi-billion dollar contracts in the last six months. One is for an upgraded version of the F-15X fighter jet. “It seems a little strange that it’s gaining traction, and it very much seems like the Pentagon leadership is forcing the Air Force to buy this plane even over the objections of their own people,” Seligman said. Michele Flournoy, who was an Under Secretary of Defense for Policy during the Obama administration, told NPR that Mattis’ exit — as well as Trump’s method of drawing down military forces – was worrying. With the Dow swinging up and down hundreds of points in a day, investors are feeling queasy. One economist says uncertainty in the stock markets may mean turbulence will continue in the new year. The stock market has left many investors struggling to catch their breath. Just last Wednesday, the Dow Jones Industrial Average gained a record 1,086 points, after sliding 653 points on Christmas Eve. And there were many more days, when the markets swung by hundreds of points. In general, 2018 was a unusually bumpy year for markets. And the gyrations are unlikely to end anytime soon, says Lawrence White, an economics professor at New York University’s Stern School of Business. 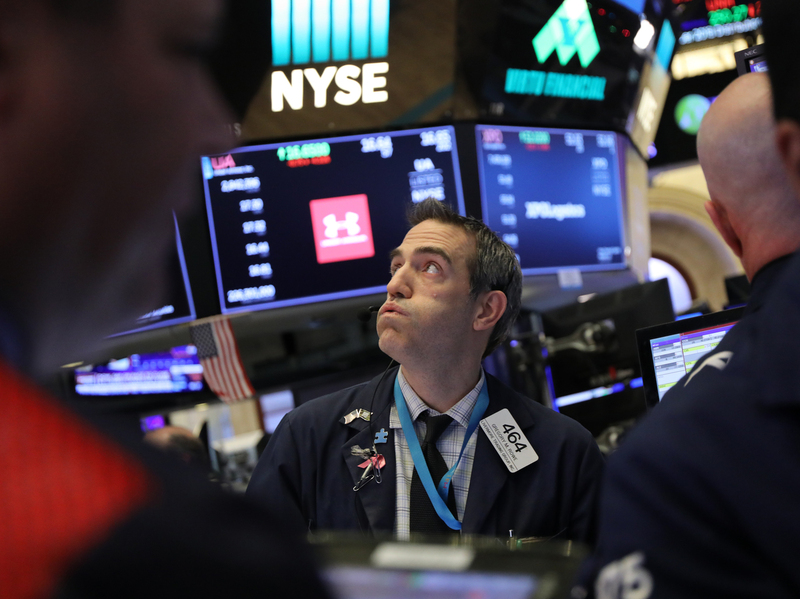 The U.S. economy enjoyed healthy growth and low unemployment in 2018, but the stock market suffered its worst performance since 2008, the height of the Great Recession. Although they rose on Friday, all of the major indexes have ended the year down sharply. The Dow Jones Industrial Average is 5.6 percent lower, while the S&P 500 index has dropped by 6.2 percent. What happened? Signs of trouble first emerged early in the year, with a Labor Department report showing that wage growth was finally picking up, says Quincy Krosby, Prudential’s chief market strategist. “You would think that this would be great for the market,” she says. But higher wages can hurt corporate profits and a send a signal to the Federal Reserve that higher inflation is coming. The Fed had been raising interest rates slowly for two years, but the strong numbers suggested it might keep doing so — and at a faster rate than before. Fed Chairman Jerome Powell added to those fears in October with comments suggesting more hikes were coming. Stocks have been especially volatile during the last three months of 2018, with some of the big technology companies like Apple and Facebook down more than 20 percent. President Trump has made the turmoil worse, NYU’s White says. “I think the administration has become even more erratic in both its statements and its actions,” White says. Trump has repeatedly attacked the Fed for raising interest rates, and has singled out Powell, whom he appointed to his job, for criticism. Meanwhile, the Trump administration’s aggressive efforts to overhaul U.S. trade policy have only contributed to investor anxiety. The ongoing tariff war with Beijing in particular raises questions about the economy’s near-term performance, because many U.S. companies do substantial business in China or depend on its supply chains to build and sell products. Technology giants like Apple, Google and Facebook, which account for a growing share of the stock market’s daily trading volume, have been especially hard hit by the market drop. The concern isn’t just about trade; tech giants also face a growing risk of government regulation. Facebook, for example, has suffered huge public relations fallout amid revelations that its customers’ personal data was used by the political research firm Cambridge Analytica. All this market volatility is causing headaches for investors, especially those trying to just get a handle on retirement accounts. Barbara Egeler-Bailey has been caught in the turmoil. After her parents died, she spent a lot of time fixing up their house near Grand Rapids, Mich., intending to sell it and use the proceeds to help fund her retirement. After the sale went through in September, Egeler-Bailey put part of the money in a stock fund that invested in medium-risk equities. It was a decision she’s come to regret. “After the stock market here started going up and down like a roller coaster, I saw that my fund had just dropped like 20 percent, dramatically, just since this fall,” she says. The male lion, identified as 14-year-old-Matthai, was euthanized “out of necessity,” the center’s executive director Mindy Stinner told reporters. Sheriff’s deputies were called to help the center’s staff. “This person’s passion was the zoological industry. … And this person wanted to spend a lifetime around these animals,” she added, speaking before Black was formally identified. “She was a beautiful young woman who had just started her career, there was a terrible accident, and we are mourning,” Black’s family said in a statement, according to The Associated Press. Black had completed an internship at Wolf Park in Battle Ground, Ind., earlier this month. “Alex will always be remembered as a strong, compassionate and dedicated woman with a heart-warming smile,” the park said in a tribute to her. Stinner said that at the time of the attack, there were visitors on site but they were safely evacuated using the center’s prepared safety protocol.